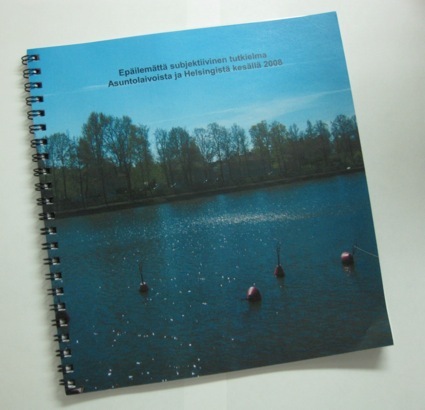 In the summer 2008 I was following public discussions about houseboats in Helsinki. The book is a comment on this discussion. 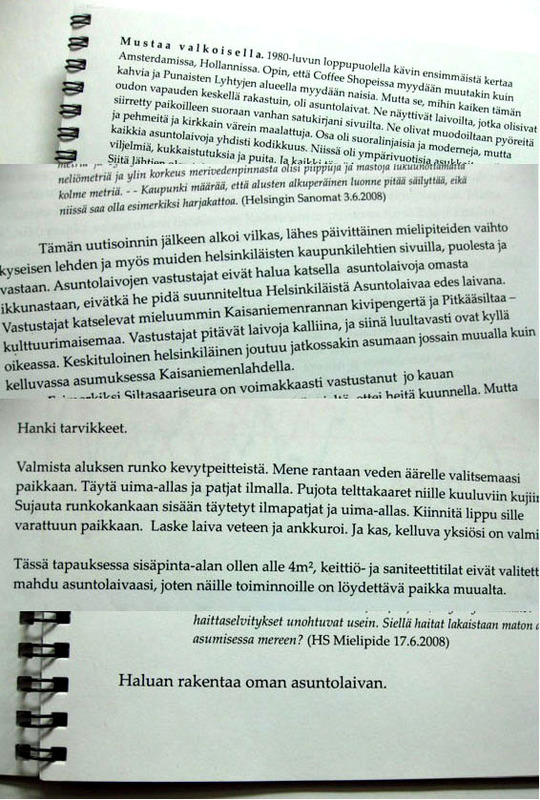 The book includes e.g. structural drawings of a floating residence for one person and do-it-yourself -instructions for that houseboat.